When you are in a unknown city and you have to reach at your friend's but you don't know, what is the location of there house? What would you do in such a situation ,using live location sharing feature is the solution to your problems . With the help of google maps and facebook messenger you can share your live location and reach out to anyone anywhere you want what's app also provides this feature in its beta version. Recently , the live location sharing feature has been added in the Facebook messenger.The advantage of this feature is that,user can share his location very precisely.and ,the person you have shared your location with can track you within the next 60 minutes. 3- after clicking on the 'more' option you will see a location and plan option . 4-Using live location sharing your friends can track you for the next 60 min. and it will be closed. how long you can share location. 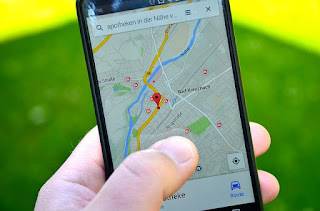 Later these day ,google has added in it's maps, the real time location sharing feature.with its help you can share your current location .this feature is available for not only android but also for apple's IOS. 3-After tapping on 'get started' option ,you can choose for how long you want to share your location .Here , you can select from option of 15 min. ranging upto 3 days . here,you also get the option to turn off location sharing. 5-After this you will see an option named 'frequent contact' or you can use the option 'select people ' to add people to the list of contacts you want to share your location with and then after choosing your contacts ,you can share your location. Like the Facebook messenger What's app is also testing this feature. this feature can be seen in the Beta version 2.17.150 . here it is easy to use the live location sharing .for this you have to tap on the option 'clip icon' here you will see the live location share option. 1- if you are an android user ,then after choosing the contacts you want to share your location with tap on the 'clip' option displayed on the screen.after tapping on it you will see an option 'Location' ,then you click on it to share your loation. 2- if you are an ios user ,then in the left side of new chat ,you will see an 'Arrow' .here you will get the option to 'share location' and 'send location'.